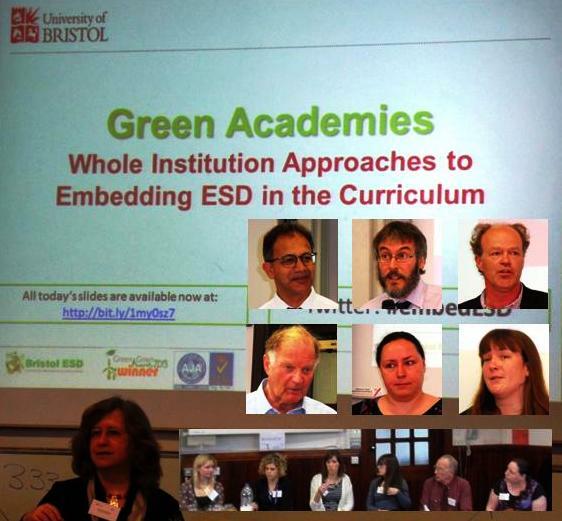 A workshop, titled ‘Green academies: whole institution approaches to embedding education for sustainable development (ESD) in the curriculum,’ will take place at Bristol University on 12 May 2014. Hosted as part of the Workshop and Seminar Series 2013/2014 of the Higher Education Academy (HEA), the workshop will mainly focus on whole institutional approaches to ESD in the curriculum, especially on the role of students as agents of change. The Bristol Model of student intern driven curriculum change has been instrumental in institution’s developments, integrate students, academia and estates at the core of ESD. The workshop will explore best practice in embedding ESD while identifying opportunities for developing student leadership in curriculum change and for developing synergies in terms of the flexible pedagogies. It will cover a range of topics, including students as partners, devolved and networked governance, institutional change, curriculum, extra-curricular learning and employability. The day will begin with a welcome from Peter D’Sena (The HEA). Mirroring the Bristol Model’s co-leadership element, the workshop will be led by Hannah Tweddell and Aisling Tierney (ESD ex-Student Interns). 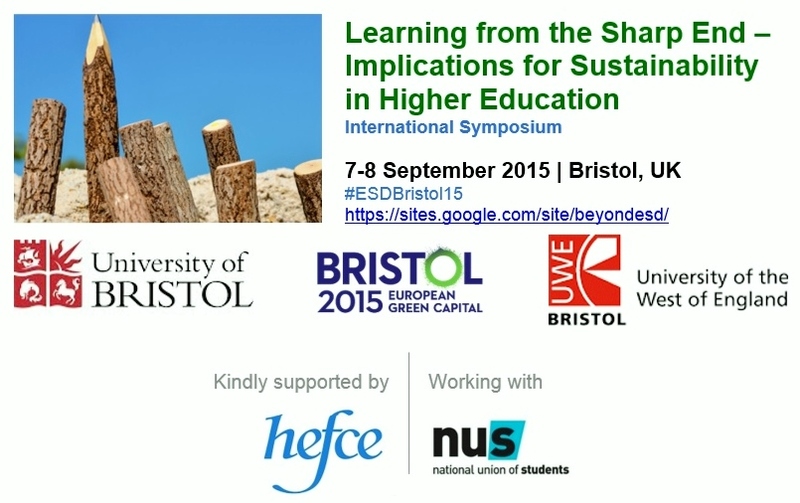 Bristol University’s Martin Wiles (Head of Sustainability) and Chris Willmore (Director of Undergraduate Studies) will introduce sessions alongside students and speakers from participating universities, namely Canterbury Christchurch University, Keele University, University of East Anglia, Nottingham Trent University and Liverpool University. Each session, facilitated by a member of the Bristol ESD Team, will comprise a short introduction, leading to small group work, using a sustainability café approach. Lunch and networking will accommodate an open resources session, comprising a poster display and demonstrations of e-learning resources as well as a Tower Tour. An international workshop on Pliocene climate will be held at The Clifton Pavilion, Bristol Zoo Gardens Bristol, UK on 9 and 10 September 2013. 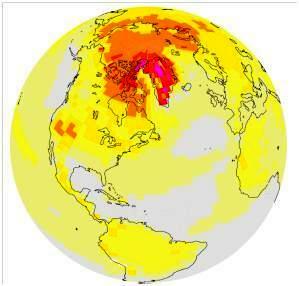 The Pliocene epoch, the last sustained interval when global climate was significantly warmer than today, is a good potential analogue for the conditions predicted for the end of this century due to anthropogenic climate change. Bringing together around 75 scientists from around the world, this workshop aims to identify the most pressing research questions for the international Pliocene community as well as the gaps in the current understanding of this interval. After the Day 1 proceedings, Professor G.H. Haug will deliver a public lecture on ‘Climate and Societies’ at Wills Memorial Building, University of Bristol (18.30–19.30). 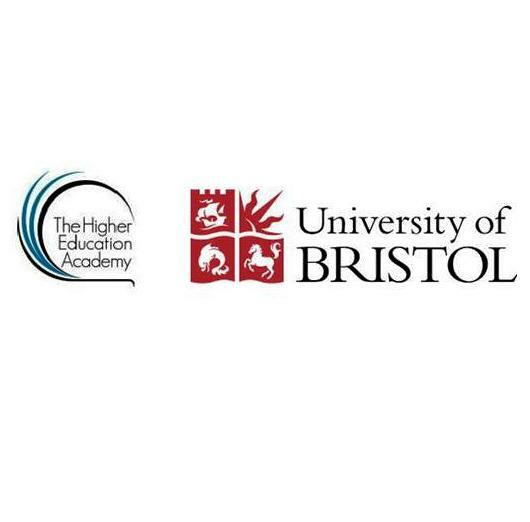 Hosted by the University of Bristol, this event is supported by The Leverhulme Trust , the European Research Council, the Cabot Institute and the Global Change research group at the University of Bristol and the University of Leeds. This is the second Pliocene climate workshop, following the first held in Bordeaux, France in 2009. The third will be held in Barcelona, Spain in 2014.